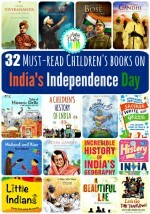 Our Guest Blogger Sandhya sent in this Book review perfect for India’s 65th Republic Day ..
As part of the history of India, we learn about post-independence history, and that includes learning about the constitution – one that came into effect on 26th January 1950, when independent India became a republic. What is the constitution? It is a big book of sorts, where all rules and laws of the country, one that every citizen has to abide by, are written down in detail. These laws hold that all citizens are equal in the eyes of the law, and that following these is important for a peaceful, harmonious and productive society. Children should have an idea of what these laws are about, and the principles on which they are constructed. These children will grow up and become the future citizens, and the earlier they know about our constitution, the better. Learning about these can become very dry and boring, though, as the number of young minds that switch off during routine civics classes in school are a testimony to. How, then, can we create an interest in these minds? 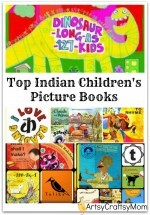 Leila Seth, a former judge of the Supreme Court, has come up with this fabulous book that simplifies these ideas without talking down to children, and also making them interesting enough to stick. Told in verse form, with a large dollop of humour, this is the perfect book to talk about India’s constitution, for all ages above 5 years. Adults, too. 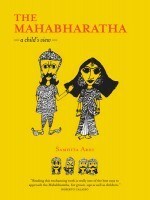 You can buy this book from Flipkart..
You can read her review of the same book on SaffronTree . 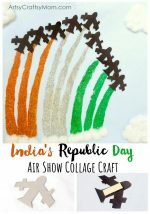 PS – also see our post on Republic Day crafts to make with your child. Jai Hind! 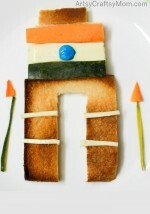 Do share your Republic day ideas with us.